HELLO everyone! 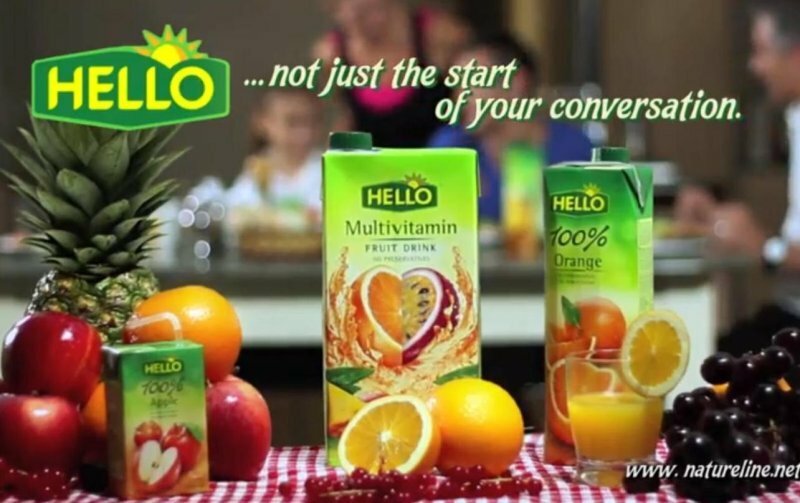 Natureline is proud to launch its first TV Commercial on HELLO JUICES which are getting famous more and more. As portrayed in this commercial whatever you are up to a good quality juice is the ideal source of energy. The vast selection of Hello 100% juices and fruit drinks are ideal for the whole family as they have no added sugar and contain all the necessary vitamins we need for our well-being! Choose HELLO JUICES and say hello for a new healthy life-style! Available in all leading groceries and supermarkets.